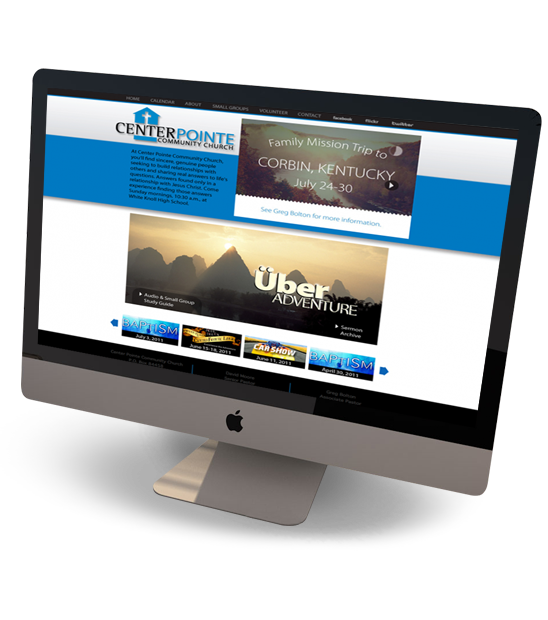 While I attended Center Pointe Community Church, located in Lexington, SC, a team of us worked on different projects from logo design to revamping the website. 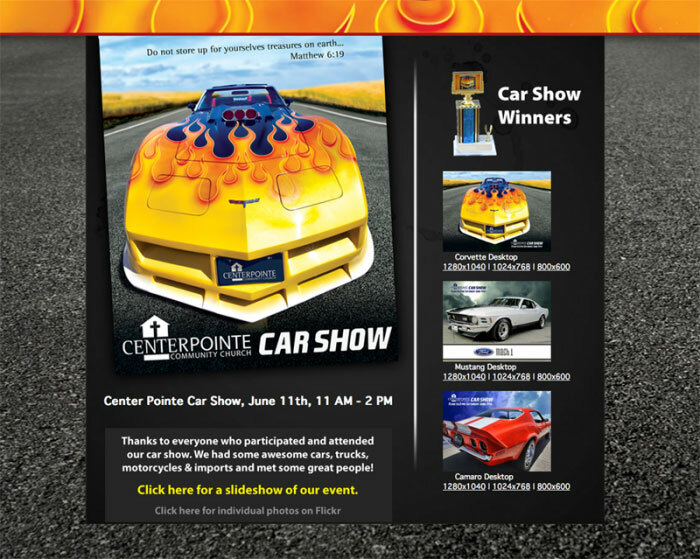 This on going project allowed me to experiment with different ideas and coding techniques. 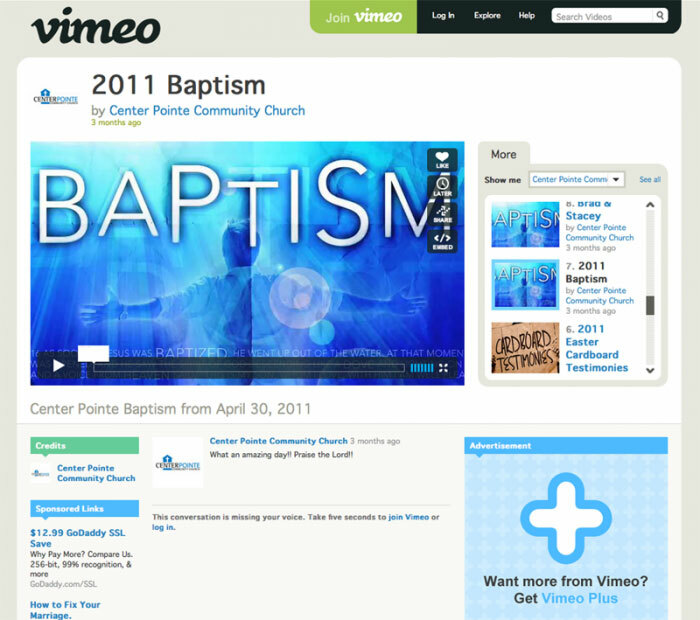 The site includes downloadable sermons, customized Google map for small groups, pages for special events, 404 error page, Wordpress blog, integrated Google calendar and links to videos hosted on Vimeo. 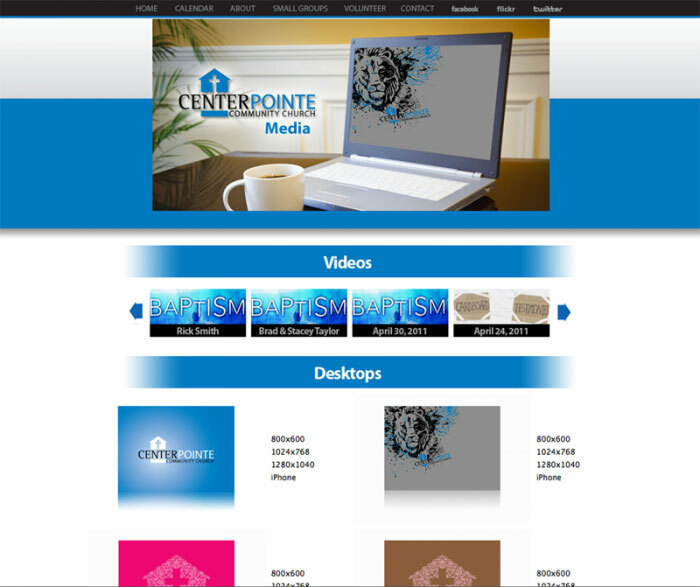 HTML and CSS are used in conjunction with Java and Jquer to provide a robust site with rich content. 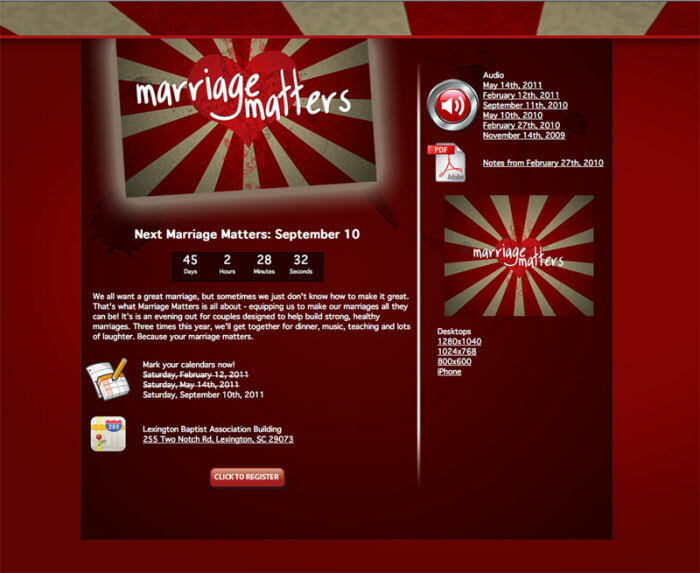 Special events like Marriage Matters, Car Shows and Christmas Muscials had their own custom pages, most with countdowns and downloadable content. 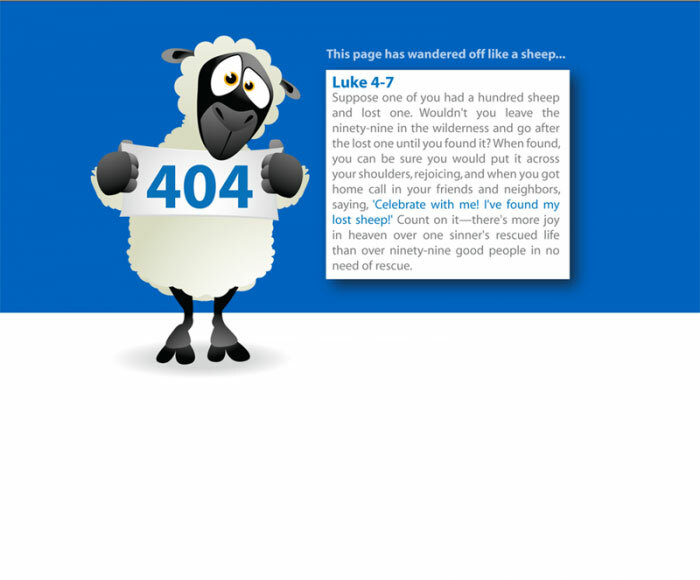 A custom 404 error page told the parable of the lost sheep. 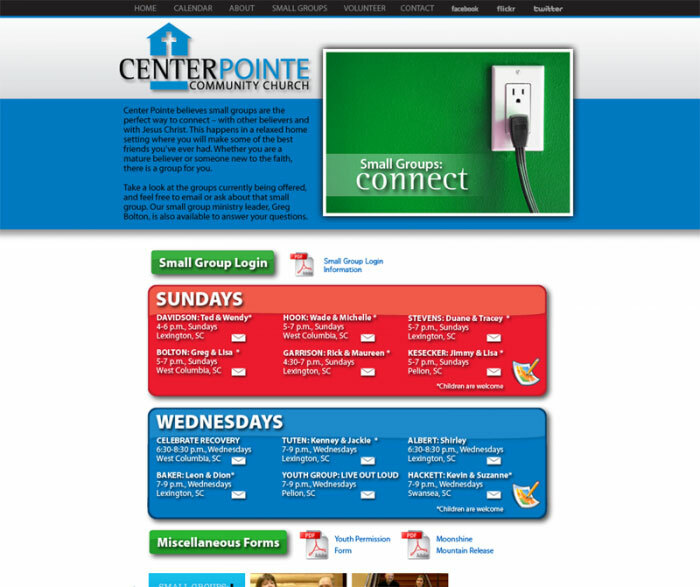 The website for Center Pointe Community Church provided visitors with sermons, directions, custom Google map of small groups and up to date content. 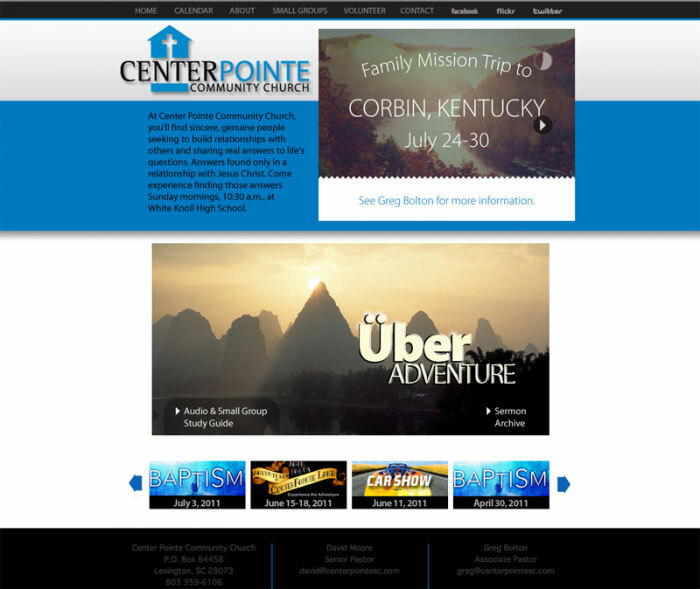 Visit the Center Pointe Community Church web site.